So Chinese New Year or Spring Festival is just round the corner and we still have not seen a single much anticipated MT6589 / MTK6589 Quad core phones yet. However, there are some affordable quad core phones released using the Nvidia Tegra 3 and the Samsung Exynos 4412 quad core processor. These processors /SoCs do not have dual sim capability in them so they are just simple SIM phones. If you need the dual SIM capability then you will need to wait for the MTK6589 phones to appear. 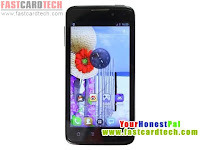 I will now give you guys an overview on these very affordable quad core phones priced at USD $300 and below. I think the quad core phones that are above $300 are too expensive as you can easily get a quad core used phone like the HTC One X for that price. This list is by no means in any particular order. All phones are currently available from Fastcardtech and IN STOCK NOW. This is a smaller phone with a 4.3 inch FWVGA screen, a little larger than the small iPhone 5. Although this phone only has a 5mp camera, you can be sure it produces reasonably good pictures because ZTE is a reputable Chinese brand. I would like to reiterate that the Nvidia Tegra 3 is a Cortex A9 processor and will outperform the new MTK6589 Cortex A7 version by up to 30 percent. It will however not be as power efficient as the MTK6589. The 480x800 resolution helps to keep the price of this phone affordable. Now only $182 with free shipping. This is the cheapest quad core phone here. This is the successor to the hugely popular Newman N1 and has already been released last year in December. It uses a Quad core processor from Samsung, the Exynos 4412 with fast Mali 400 MP GPU. This phone is as fast as the Samsung Galaxy S3. This phone, like the other 3 phones in the lineup only supports English and Chinese languages because they are actually made for the China domestic market. None of these phones are clone phones and you can expect reasonably good quality because they are made by real phone manufacturers. Price is $290 with free shipping. This is the international version of the Newman N2 above at no. 4 and both phones should be identical except for the name. Benchmarks somehow show this phone to be slower in 3D performance. 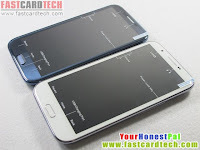 It should be identical because they are both using the same Samsung Exynos 4412 SoC. Since this is an international version, other languages should be present in it but I can't be sure. You will need to check with the seller. 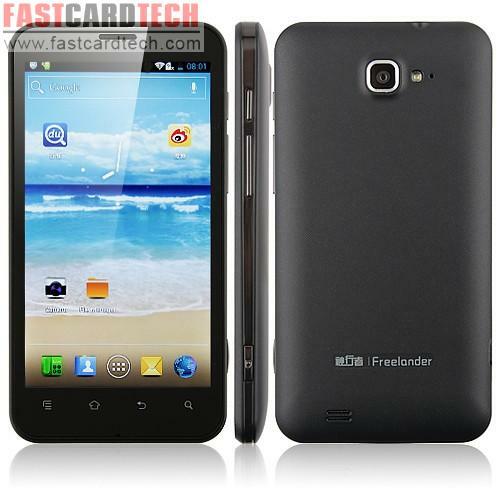 This phone is slightly cheaper at $285 and free shipping as well. This phone has very similar specs to the phone at no.1, the XiaoLaJiao (small chill / little pepper) at a much higher price. Also using the Nividia Tegra3 Quad core SoC. I would guess that it has better cameras and better quality screen. Most likely this phone only have Engligh and Chinese languages. The design of this phone is more iPhone 4/5 like while the Small Chilli looks more like the HTC styled design. This is much pricier at $296 and of course shipping is free. The K-Touch brand is also a well known Chinese brand so most likely it will have only English and Chinese languages only. 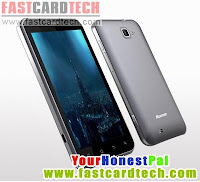 This phone has a 5mp camera and only a QHD 540x960 IPS screen but has the Nvidia Tegra 3 running at a full 1.5GHz speed. This will also be much faster than any phone that is going to be released with the MTK6589 quad core processor which will only run at 1.2GHz and A7 processor. The Nvidia Tegra has been shown to be faster than the Samsung Exynos 4412 in terms of 3D performance. This will be an excellent gaming phone. Price is reasonable at $264 and free registered airmail shipping. 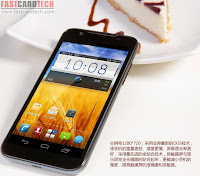 NEW UPDATE 5 Feb 2013: The very first MTK6589 quad core phone. Finally listed on Fastcardtech as 'IN STOCK'. However, they will only ship after 20 Feb due to the coming Chinese New Year. Knowing Fastcardtech, they probably have a shipment on the way to their warehouse but already advertised as in stock. This is the first real MTK6589 quad core phone to be shipped....although not now but at least the last part of this month. The processor used here is the ARM Cortex A7 and will be slower the the other quad core processors but will have much better battery life. 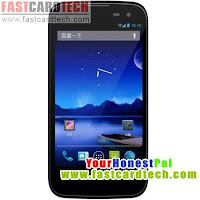 This has all the features of the above phones plus Jelly Bean and a larger 5 inch IPS screen. It has got that Galaxy S3 shape which is overused in my opinion. THL probably found it a safe design to follow. THL is a popular Chinese brand with better build quality and cameras. Price is affordable at $245 with free airmail shipping. Just appeared on Fastcardtech, the screen grabs matches the description on the website quite accurately. This is the second mtk6589 phone to be released and IN STOCK. This has the latest jelly bean 4.1.2 with a real 8mp camera and real higher resolution front camera of 3.1mp. I have just ordered this using free shipping option. The price is $249 which is nice. Free shipping is available using the slower registered airmail. 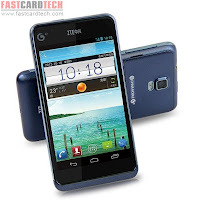 This concludes my roundup of affordable quad core phones available from Fastcardtech. There are more quad core phones from Huawei and Xiaomi but all above the $300 price point so bang for your buck is not there and not listed here. Remember, Greg's Mobile Gadgets is all about good affordable phones so I hope these write-ups help you guys decide which phone is best for your needs. Correct me if I'm wrong but the Zte u950 and Zte v985 3g bands I believe only works in china. Should be able to work on the wcdma 850/2100 frequency because it is supported by starhub. I have been testing many models and all do work. Only in united states t-mobile, the 3g uses the 1900 MHz frequency which don't work. Btw the Newman N2 arrived a few days back. I've added some additional comments in the old thread. You may want to read them for some initial impressions. Took so long to finally arrive.. would like to know your comments. Actually after the latest firmware update the Newman N2 has a whole lot more language support. I don't know about India. 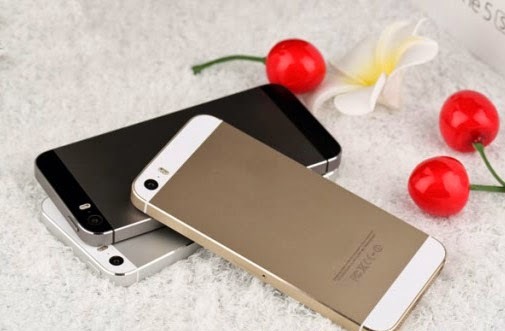 These phones are from a China online store. Lookout for Jiayu, they are opening an office in Deli next month. hi is it safe to order in fastcardtech they sell very cheap price i was just curious if they are legit..
Every phone I reviewed is from Fastcardtech. Read my article on points to take of when buying from them. My only worry with the THL W8 is that THL don't even have the phone on their site (English or Chinese!) 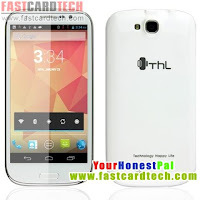 Still THL are a good affordable brand (I have a W6). Hello Greg Tay. Thank you so much for your website. I read this article. From all the quad-core cellphones which one would you choose. I'm ready to spend around $300 on it. My preference is: that it's similar to HTC or Samsung S3. Another preference is that front camera should be more than 1.3 megapixels (real). Maybe it's better to look at MTK 6577 to buy a really good one cellphone in this price range? What other articles would you advice me to read to make my final choice. looking forward to your review for HDC Galaxy Note 2 N9589 . any estimation when you will be receiving it? They claimed to have just shipped it out which is very fast. But I bet it is still sitting in a store waiting for the shipping company to collect it. Should be here is 2weeks. It is almost a month already and I haven't got the Xiao LA Jiao yet. Must be due to the CNY holidays. do u sell off the phones after you have reviewed them? of course those that u don't intend to keep. if u do could i buy from u? hi Greg i saw this phone on fastcardtech, would you recommend this? This appears to be using an OEM zopo zp910. The specs are identical and also the back and front camera are the same. There is a $30 price difference as well. Should be a good buy. The screen is qhd which will make the phone faster. Just bought the HDC Galaxy Note 2 N9589 Quad Core- MTK6589 1.2Ghz 1G Ram 5.8 inch HD IPS Screen Android 4.1.2 Phone. Any idea where to get root for this phone? Btw,this phone delivers according to the spec displayed. the only setback is the memory. Greg any review for the N9589? I think they are out of stock or some issue because it has not shipped yet. I am thinking of cancelling it.